There has been a long parade of systems and buzzwords over the years, promising real time visibility into manufacturing processes. All have proven too complex or too costly to be practical. Inexpensive to buy and own. Supports OEE E10 Semi Specifications. Accessible from any system and mobile device in your intranet. Monitor the entire Factory, a test floor, a particular Test Cell, or test sites. Automated Alerts and Reports. 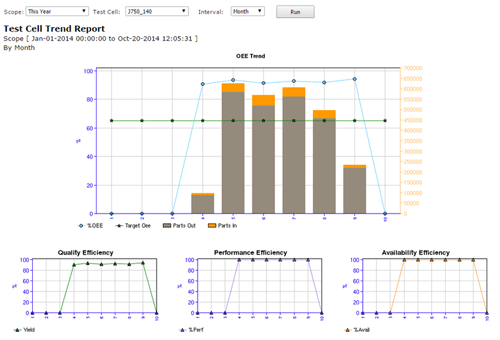 SMART provides automated data collection and system monitoring for OEE metrics. 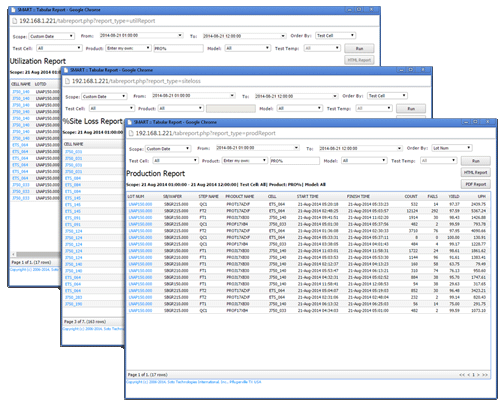 With a glance you can immediately spot yield, throughput, or productivity problems anywhere on your test floor during any time of the working day. In a mobile world, you are not always by a computer. 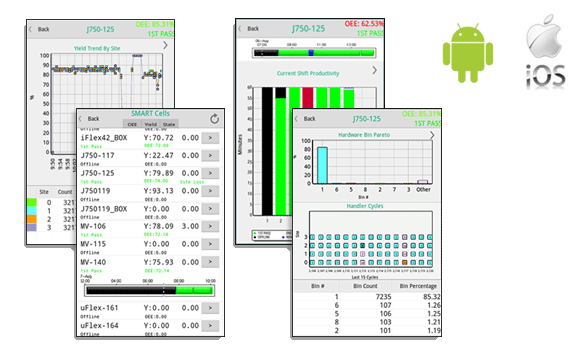 The SMART Mobile app for Android and iOS provides monitoring for your Test Floors and Test Cells with customizable alerts for OEE, Cell Yield, and Site Loss. Receive ALERTS on equipment, product, factory lines, etc. 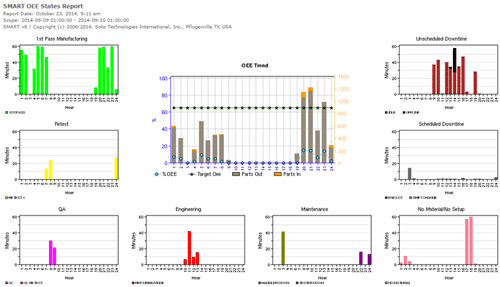 SMART provides automated data collection and system monitoring for OEE metrics. With SMART, you can monitor the entire test floor, a group of test systems, a single test system, or individual test sites on a system.